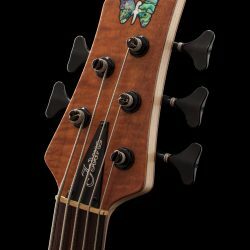 Inspired by the many species of butterflies that are the namesakes of our various models, Masterbuilt – “Butterfly” uses our Imperial shape as a blank canvas to beautifully display this unique and beautiful creature. 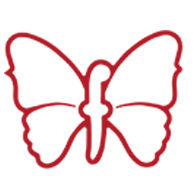 Using over 200 pieces of varying natural materials such as Gold Pearl, Mother of Pearl, Black Pearl, and various colored stone, each piece was carefully selected for its bold color and figure. 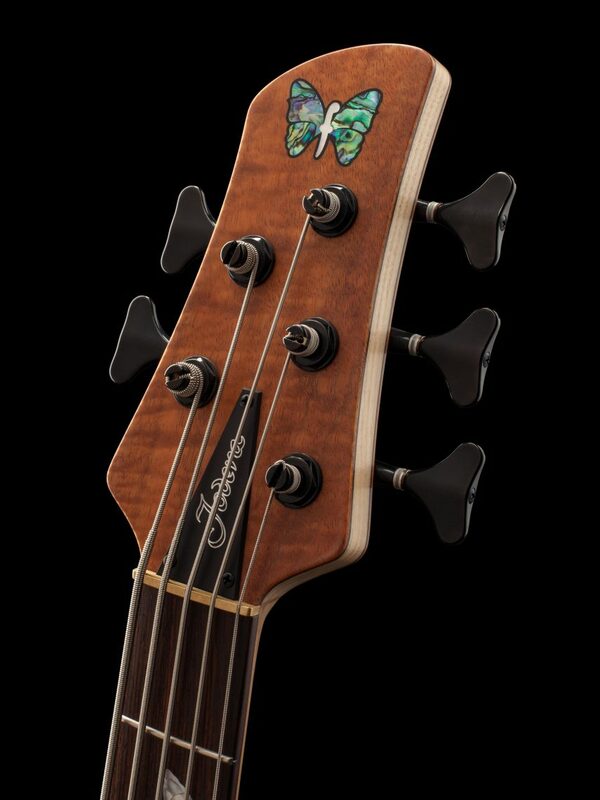 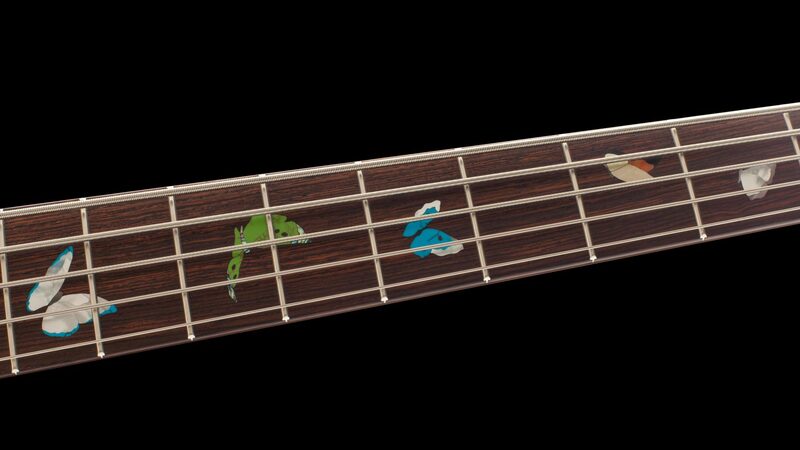 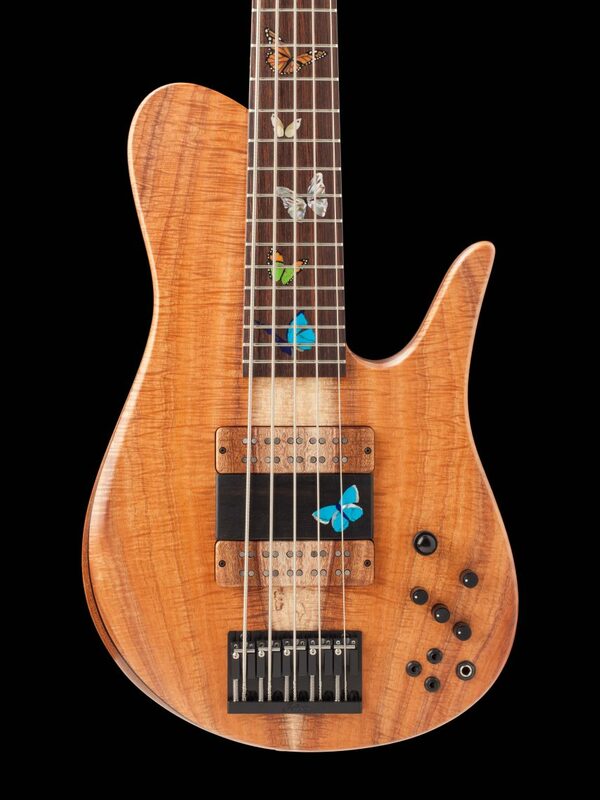 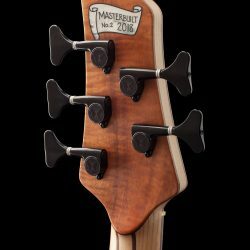 The inlay features various species of butterflies such as the monarch, imperial, and emperor butterfly cascading from the headstock down to the ramp. 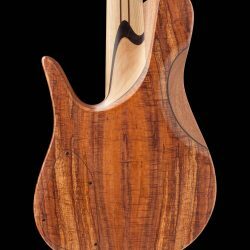 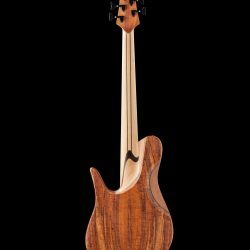 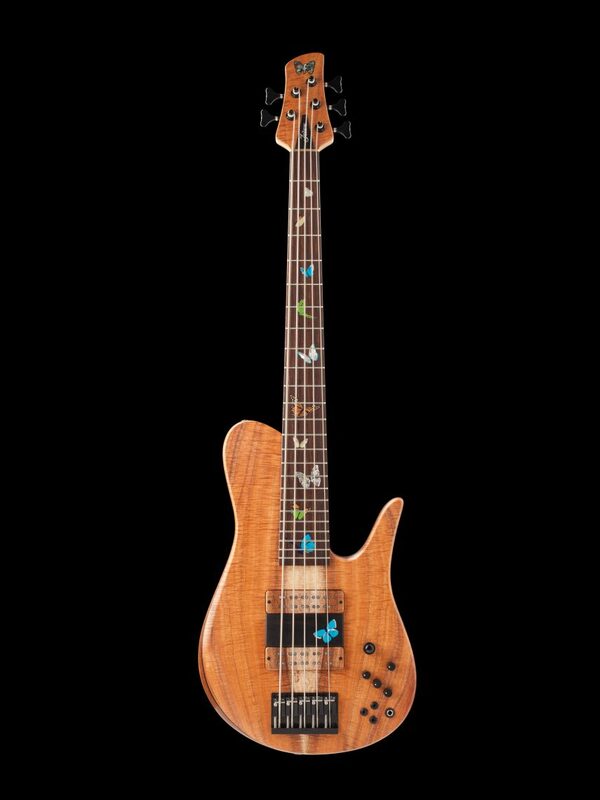 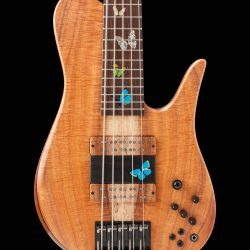 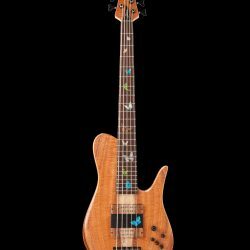 The bass itself also features some of the very best materials from our shop including a stunning Flame Koa topwood and back veneer. 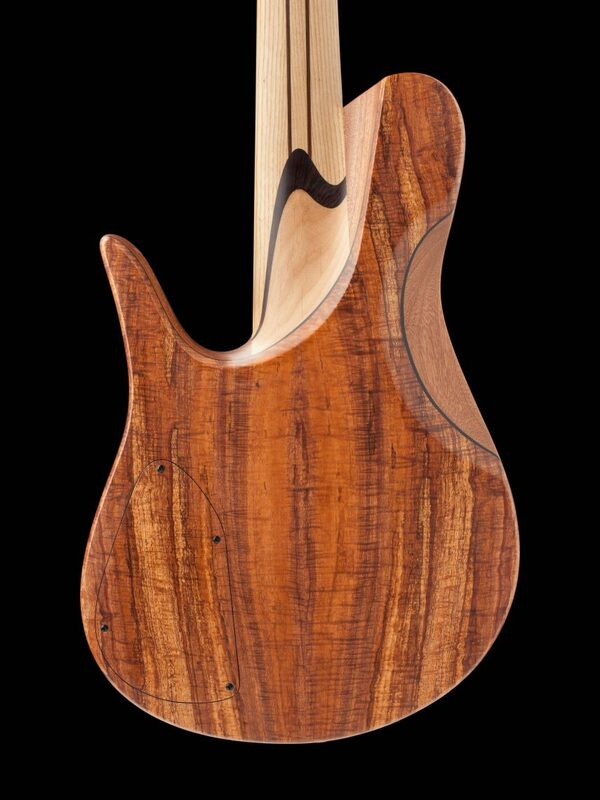 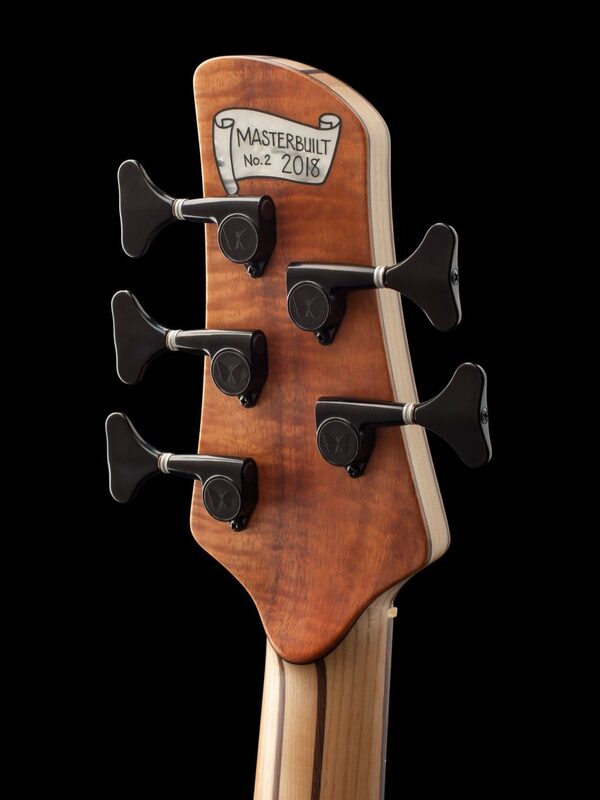 It also features a 5pc Ash neck w/ Wenge stringers, capped with a beautifully grained Brazilian Rosewood fingerboard. 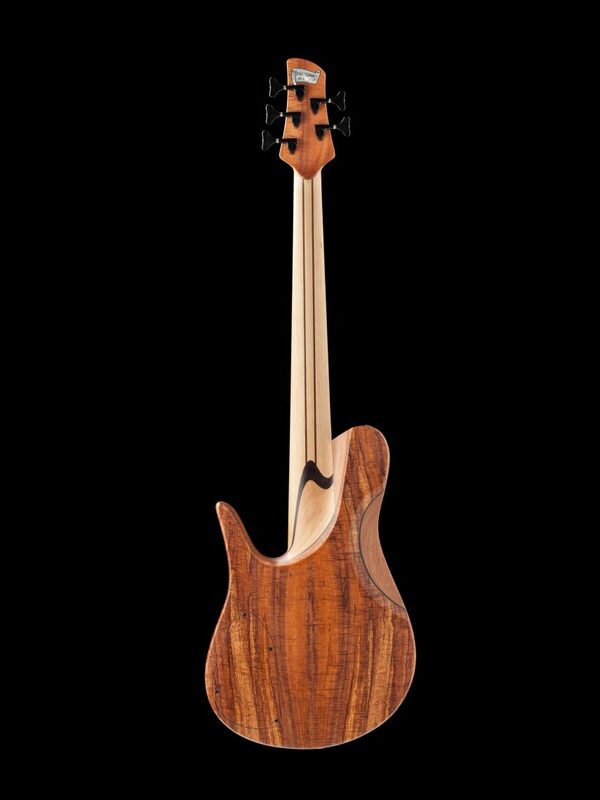 For body woods, African Mahogany wings and an Alder tone-block were selected for their full low end tone and rich midrange. 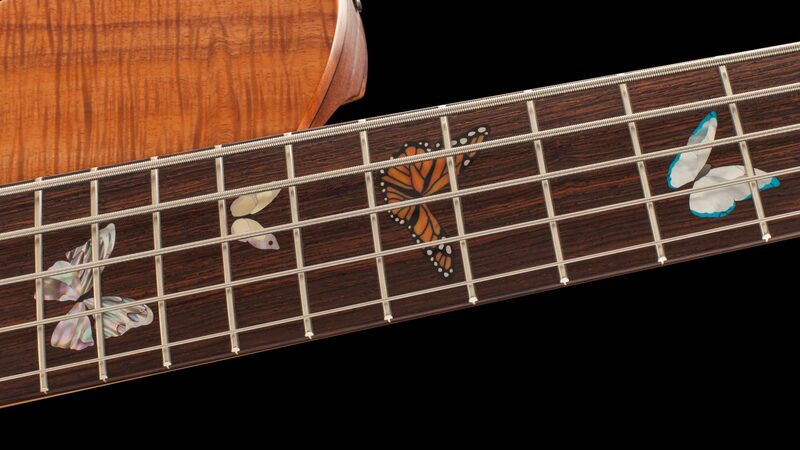 Other impressive details include matching Koa pickup covers and a matching back plate for a sleek and seamless look. 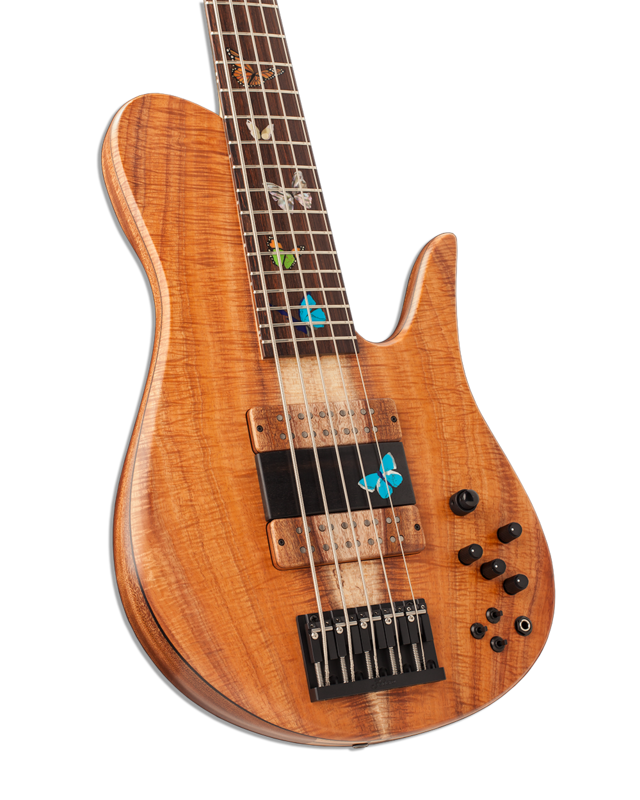 Finally, this instrument comes loaded with our Fodera / Duncan Dual Coil pickups in 70’s position, and our Fodera Custom 3-band preamp offering great flexibility while allowing the natural tone of the bass to shine through.